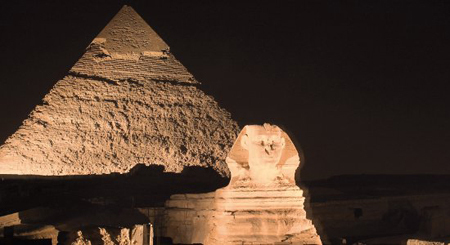 Depart UK with the scheduled flight services of Egypt Air. Arrive in Cairo and transfer to your chosen hotel. Depending on arrival time, optional excursion to the atmospheric Sound and Light show at the Pyramids. After breakfast leave by coach for the West Bank to visit two or three of the stunning tombs in the Valley of the Kings and at least two more in the Valley of the Queens. Continue to the Temple of Hatshepsut and the Colossi of Memnon. Optional excursion to Abu Simbel (from £85pp) with its magnificent Temples, perhaps the most aweinspiring of the temples. Optional evening excursion to Sound & Light Show at the Temple of Isis at Philae. Breakfast followed by disembarkation and transfer in an air-conditioned car from Luxor to Abu Soma, or another Red Sea resort of your choice. This is the perfect opportunity to relax after some serious sightseeing, soak up the sun and enjoy the beaches or try one of the many activities on offer in the Red Sea such as watersports, diving, and, in some resorts, kitesurfing and golf. Transfer to Hurghada airport and return to the UK (via Cairo) with the scheduled flight service of Egypt Air. What is included in the price of your holiday: 2 night stay in Sofitel Le Sphinx hotel in Cairo based on a bed and breakfast basis; 7 nights Nile cruise staying on the M.S Nile Premium boat based on full board including, breakfast, lunch, dinner and afternoon tea; 5 night stay in the Intercontinental Hotel in the Red Sea resort of Soma Bay (Red Sea) based on a B&B basis; scheduled flight services from UK to Cairo, returning from Hurghada, scheduled domestic flight services from Cairo to Luxor. Private transfers in air-conditioned car from Luxor to Red Sea and from all airports in Egypt to accommodation and return to airport. Excursions as detailed above (excluding optional excursions), accompanied by a fully qualified English-speaking Egyptologist. Optional full day excursions in Cairo cost from £65 per person.